← Free and Fair Elections? July is the month to celebrate democracy’s journey—Independence Day in the US, Bastille Day in France ten days later. Too bad democracy’s core values aren’t enacted, even though they’re embedded in our corporate governance system of checks and balances. 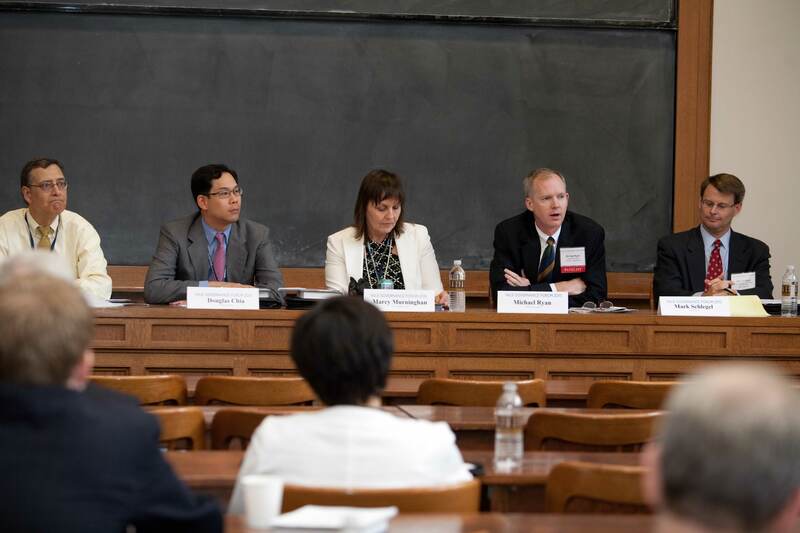 Fortunately for us, good governance is a round-the-clock responsibility for the Millstein Center for Corporate Governance and Performance at Yale’s School of Management, which hosted the fifth annual Yale Governance Forum last month. Governance guru Ira Millstein (for whom the Center is named) opened the Forum quipping that CEO’s “don’t know what they’re doing,” but there are not a lot of choices. You either freeze, or look backwards to the ‘30s (which, he said, doesn’t teach us that much), or look forward. This, he said, is what the Center is about: helping steer corporate governance toward solutions to the current crisis and recession. The role and responsibilities of the State as shareowner (including exit strategies), now that government has become a major equity player and bailed out industries. Millstein pointed out that the US owned a large swath of the financial sector in the 1930s. How boards of directors need to adapt and adjust to the new realities. Speakers repeatedly referred to Frederick Funston and Stephen Wagner’s excellent new book, Surviving and Thriving in Uncertainty: Creating the Risk Intelligent Enterprise. The need for a US Corporate Governance Code, a project the Millstein Center is undertaking that, despite seeming like a common sense first step in the US, remains controversial. The challenges facing CEOs in a world of active boards, engaged investors and other stakeholders, government scrutiny, and informed consumers. Ironically, while the sustainable investing world has embraced corporate governance (the acronym ESG, referring to environmental, social, and governance, is the current popular term), the governance community gathered at the Forum (some 200 leaders from around the globe) paid scant attention to the question of sustainability. One prominent exception: the remarks of Anne Simpson, a rock star in the governance world who currently serves as Senior Portfolio Manager for Global Equities at the California Public Employees’ Retirement System (CalPERS), the largest public pension system in the US with about $200 billion under management. When Anne speaks, people listen—and learn. CalPERS, along with the California State Teachers’ Retirement System (CalSTRS) and the Council of Institutional Investors, is spearheading recruitment of a pool of diverse and qualified board candidates, in anticipation of rules changes at the SEC on the director nomination and election process (known as “proxy access”). And just today, Responsible Investor reported that CalSTRS (which manages about $130 billion) is presenting a new business plan that calls for shareowner engagement by its corporate governance team in the water, extractives, and agriculture sectors. This convergence between corporate governance and sustainability represents a trend that we will continue to cover here at The Murninghan Post. All in all, the Yale Governance Forum 2010 raised more questions than answers, which perhaps is the most important first step in navigating to a post-crisis (the Forum buzzword) future. Good corporate governance is a good start, in keeping with democracy’s intent. This entry was posted in Uncategorized and tagged Anne Simpson, Bill Baue, Bob Massie, CalPERS, consumers, Council of Institutional Investors, Council of Institutional Investors, democracy, engagement, ESG, Funston and Wagner, Ira Millstein, Millstein Center for Corporate Governance and Performance, proxy access, shareowner, stakeholders, Stephen Davis, Yale, Yale Governance Forum. Bookmark the permalink.